In our show Noobs and Dragons, Tilly the Forest Gnome is the Cleric of the group, making sure she can heal up her comrades, but she also has the ability to increase the sneakiness of her friends, as well as launch devastating magical attacks at enemies. It seems that the only thing Tilly can’t do is go toe to toe with foes in melee, but is that just Clerics in general? Or an aspect of this particular Gnome? 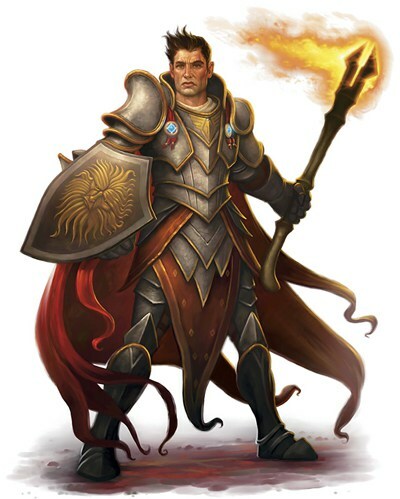 Today we’ll be looking into the Cleric class, and some of the many options the class offers. 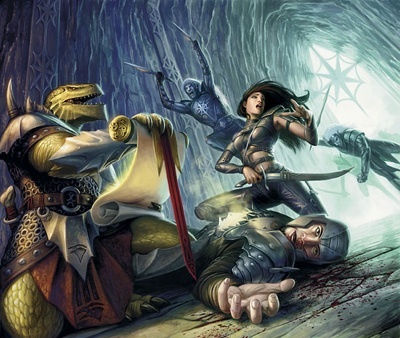 The Cleric class in Dungeons & Dragons is perhaps the most versatile class in the game, despite the fact that most people only seem to view it as a healer class. While it’s true that Clerics tend to have more options for healing than any other class, there’s so many other things they can do as well. Clerics can be in light or medium armor, launching spell attacks from a distance, or they can be clad in heavy armor, wielding giant weapons. How can one class offer so many choices? The answer can be found in Domains. When making a Cleric, one of the most important choices right at the start is what Domain a Cleric is going to belong to. Domains are specialized aspects of a Cleric’s faith, and no matter whether they worship a particular God or Goddess, or even a philosophy, the Domain chosen at character creation is one of the reasons Clerics can specialize so well. Tilly worships a Goddess of shadows and illusion, so her Domain is Trickery, which allows her to grant boons to her allies to assist them with sneaking, and eventually gives her powers to duplicate her form. Other Domains grant melee combat bonuses, the ability to create bursts of light, or even to increase the potency of heals. While the Forest Gnome of our podcast tends to focus on healing magic, with some damaging spells for tough situations, Clerics have a very wide range of spells, and the only form of spells they tend to lack is wide, area of effect spells, to damage large groups of enemies. While Wizards and Sorcerers have them beat in that, Clerics still have a large pool of spells to draw from, and because they don’t need to commit select spells to a list, and instead select their daily spells from the entire collection of Cleric spells, they have incredible flexibility! If you’re interested in the Cleric class, and want to know how Tilly flexes her wide range of options, make sure to check out Noobs and Dragons, our podcast which follows the adventures of Tilly, Jandar, and Alistair as they investigate the mysteries surrounding a strange dream journal, and how it effects the region surrounding the forest city of Narquelion, which is perpetually in Autumn. Episodes release every Wednesday, so make sure to start from the beginning!